At HMI, we believe that U.S. Veterans should be honored, and provided the tools and outlets they deserve to re-engage in the civilian workforce. That’s why we are dedicated to offering programs and opportunities that will help our vets get re-established in the community. As a qualified U.S. Veteran, you’ll receive huge discounts on our complete business training programs, as well as discounts on our equipment offerings. Nearly two-thirds of veterans state they have difficulty transitioning back into civilian careers. This is a sobering statistic that, while a harsh reality, we don’t believe should be true. Since more than 80% of U.S. Veteran’s surveyed said they were looking for “the right job”, not just any job, and were unprepared to move back into the civilian workforce, we have created an opportunity that will allow service members to enter into a career that is rewarding and will help support them and their families. We offer a 5% discount on any of our start-up business packages to ALL members of the armed services. To further assist in training veterans on how to start new careers, we also provide qualifying veterans a 50% discount for attendance in our acclaimed Discovery & Training Seminar. Celebrating four decades of service, we are the premier manufacturer of concrete raising and leveling equipment and material. Headquartered in Manitowoc, WI., HMI has trained and equipped thousands of entrepreneurs & contractors—including U.S. Veterans! We understand that the current economic environment is making it even more difficult for our veterans to transition to new careers here at home. 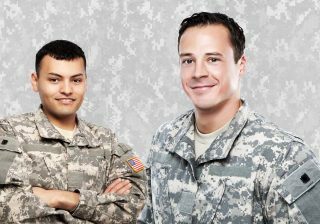 Learn how HMI can help you or a veteran you know become a successful business owner. Take Action on Your New Career Today!